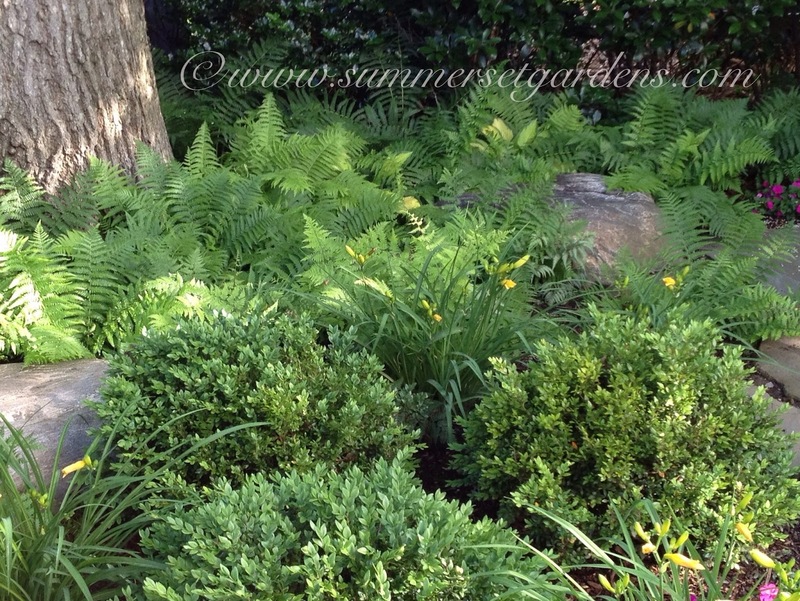 A small part shade planting adjacent to a sitting nook in a back yard garden. This is the second season of growth. Featured in this photo are Ferns, Boxwood and Daylily. Good organic topsoil, mulch and consistant watering are keys to establish a shade garden quickly and maintaining its look. There are times later in the season that some of the foliage can yellow. I usually just trim these off. This garden designis located in Westchester, New York.